Department of Pharmaceutical Analysis, University College of Pharmaceutical Sciences, Acharya Nagarjuna University, Nagarjuna Nagar, Guntur - 522510, Andhra Pradesh, India. ABSTRACT: This paper describes a new validated Reverse-Phase High-Performance Liquid Chromatography (HPLC) method for the simultaneous determination of two anti-cancer drugs, Daunorubicin and Cytarabine (Ara-C). A simultaneous determination method saves cost and time as both drugs can be injected into a single HPLC system without the need to change or re-equilibrate with a new mobile phase. The objective of the study is to develop a simultaneous determination method of two anti-cancer drugs, Daunorubicin and Cytarabine. The mobile phase consists of a mixture (55:45 v/v) of 0.1% OPA: acetonitrile at a flow rate of 0.8 ml/min, with a PDA detector at 240 nm. Separation was achieved on a kromosil C-18 column (5 µm; 250 mm × 4.6 mm) maintained at 30 °C temperature in a column oven. The method was linear between 7.25 µg/mL - 43.5 µg/mL for Daunorubicin and 16.2 µg/Ml - 97.5 µg/mL for Cytarabine. The limit of detection was 0.29 µg/mL for Daunorubicin, and 1.15 µg/mL for Cytarabine and the limit of quantification was 0.88 µg/mL for Daunorubicin and 3.47 µg/mL for Cytarabine. The developed RP-HPLC method achieved good precision and accuracy. The developed and validated method was suitable to be used for routine analysis of Daunorubicin and Cytarabine. INTRODUCTION: Daunorubicin Fig. 1, also known as Daunomycin, is a chemotherapy medication used to treat cancer. Specifically it is used for acute myeloid leukemia (AML), acute lymphocytic leukemia (ALL), chronic myelogenous leukemia (CML), and Kaposi's sarcoma. It is used by injection into a vein. Cytarabine Fig. 2 (cytosine arabinoside, 1-b-D-arabinofuranosyl cytosine, ara-C) is a pyrimidine nucleoside analog which is predominantly used against acute myelogenous leukemia and non-Hodgkin's lymphoma. Daunorubicin and Cytarabine (I.V injection) is a liposomal combination of that is FDA approved for the treatment of adults with newly-diagnosed therapy-related acute myeloid leukemia (t-AML) or AML with myelodysplasia-related changes (AML-MRC) 1, 2, 3. Daunorubicin interacts with DNA by intercalation and inhibition of macromolecular biosynthesis. This inhibits the progression of the enzyme topoisomerase II, which relaxes supercoils in DNA for transcription. Daunorubicin stabilizes the topoisomerase II complex after it has broken the DNA chain for replication, preventing the DNA double helix from being resealed and thereby stopping the process of replication. Cytarabine is a cell cycle phase-specific anti-neoplastic agent, affecting cells only during the S-phase of cell division. Cytarabine acts primarily through inhibition of DNA polymerase. Literature review reveals estimation of Daunorubicin by RP-HPLC4 and Cytarabine by RP-HPLC 5, 6 and by Spectroscopy method 7 individually. In combination, Doxorubicin and Cytarabine only one method was published 8, but yet there is a need to develop new stability indicating RP-HPLC method with more sensitivity, accuracy and precision. Chemicals and Reagents: Both Daunorubicin and Cytarabine (API) were obtained as a gift sample from Spectrum Pharma Pvt. Ltd., Hyderabad, India. The marketed formulation in the brand name Vyoxeos (Dauno-29 mg & Cyta-65 mg) procured from the local pharmacy. All the chemicals and reagents used in this work were HPLC grade water, acetonitrile, phosphate buffer, methanol, potassium dihydrogen orthophosphate buffer, orthophosphoric acid was obtained from Rankem. Instrumentation: A HPLC system with waters 2695 separation module provided with a photodiode array detector, autosampler injection with Empower-2 software. Electronic balance, ultrasonicator, hot air oven were used. Chromatographic Conditions: The chromatographic separations achieved on a kromosil C18 column (250 × 4.6 mm, 5 µm particle size) as a stationary phase. The mobile phase was composed of 55:45 v/v of 0.1% orthophosphoric acid (OPA) and acetonitrile at a flow rate of 0.8ml/min and injection volume is 10 µl. The column oven temperature was maintained at 30 ºC, and the drugs were detected at 240 nm. Preparation of 0.1% OPA Buffer: 1 ml of orthophosphoric acid was pipetted out into a 500 ml of Milli-Q water taken in a 1000 ml volumetric flask and final volume was made up to the mark with Milli-Q water. Preparation of Mobile Phase: Mobile phase was prepared by mixing 0.1% OPA and acetonitrile in the ratio of 55:45 v/v. The prepared mobile phase was sonicated for 15 min. and filtered through a 0.22µm membrane filter to remove the impurities which may interfere with final chromatogram. Preparation of Diluent: A mixture of acetonitrile and water are taken in the ratio of 50:50 v/v was used as a diluent. Preparation of Standard Stock Solution (API): 7.25 mg of Daunorubicine and 17.25 mg of Cytarabine was accurately weighed and transferred into 25 ml volumetric flask, and 3/4th of diluent was added to this flask and sonicated for 10 min. Flask was made up of diluent and labeled as Standard stock solution. (290 µg/mL of Daunorubicin and 650 µg/mL Cytarabine). Preparation of Standard Working Solution (API): 1 ml of stock solution was pipetted out and transferred into a 10 ml volumetric flask and made up with diluent (29 µg/mL of Daunorubicin and 65µg/mL of Cytarabine). Preparation of Sample Stock Solution: 10 vials of Daunorubicin and Cytarabine were taken and measured the average weight and transferred the sample equivalent to 650 µg/mL of Cytarabine (and also contains 290 µg/mL of Daunorubicin) into 25 ml of volumetric flask and makeup to the mark with diluent. Mixed well and filtered through 0.45 µm filter. Preparation of Sample Working Solution: 1 ml of filtered sample stock solution was transferred into 10 ml volumetric flask and made up with diluent. (29 µg/mL of Daunorubicin and 65 µg/mL of Cytarabine). Procedure: 10 µl of prepared blank, standard and sample solutions were injected into the HPLC system. The obtained results were shown in Table 7. Validation of the RP-HPLC Method: The proposed RP-HPLC method was validated as per ICH guidelines 9, 10. System Suitability Parameters: The system suitability parameters were determined by preparing standard solutions of Daunorubicin (29 µg/mL) and Cytarabine (65 µg/mL), and the solutions were injected six times and the parameters like retention time, peak tailing, resolution and USP plate count were determined. Specificity: As per ICH guidelines "Specificity" can be defined as the ability of the method to specifically separate the particular API or analyte in the presence of other components. Linearity: The stock solution of Daunorubicin and Cytarabine was prepared using diluents. From it, various working standard solutions were prepared in the range of 7.25-43.5 µg/mL, 16.25-97.5 µg/mL and injected into the HPLC system. The calibration plot (peak area vs. concentration) was generated by replicate analysis (n=6) at all concentration levels. The linear relationship was evaluated using the least square method within Microsoft excel program. Accuracy: The accuracy method was carried out using one set of different standard addition methods at different concentration levels 50%, 100% and 150% and then comparing the theoretical value and found value. Precision: The precision of the method was ascertained from the peak area obtained by actual determination of six replicates of a fixed amount of the drug (29 µg/mL Daunorubicine, 65 µg/mL Cytarabine). The precision of the assay also determined in terms of intraday and interday variation in the peak area of a set of drug solutions on three different days. The peak area of a set of drug solutions was calculated in terms of relative standard deviation (RSD). Detection Limit and Quantification Limit: Detection limit and quantification limit established based on the calibration curve parameters, according to the following formulas. Where σ is the standard deviation of Y-intercept of the regression line and S is the slope of the curve. Robustness: The Robustness of the proposed method carried out by small but deliberate changes in method parameters such as flow rate (±0.1), column temperature (±5), mobile phase ratio (±5%). The percentage recovery and RSD of peak area were evaluated. Forced Degradation Tests: The specificity of the method can be demonstrated by applying stress conditions 11 using acid, alkaline, peroxide, thermal, UV, water degradations. The sample was exposed to these conditions the main peak of the drug was studied for peak purity, that indicating the method effectively separated the degradation products from the pure active ingredient. Acid Degradation Studies: To 1 ml of Daunorubicin and Cytarabine stock, 1 ml of 2N HCl was added and refluxed for 30 min at 60 ºC. The resultant solution was neutralized with 1 ml 2N NaOH and makeup to final volume to obtain (29 µg/mL and 65 µg/mL) solution. Cool the solution to room temperature and filtered with 0.22 µm membrane filter. A sample of 10 µl was injected into the HPLC system, and the chromatograms were recorded to assess the stability of the sample. Alkali Degradation Studies: To 1 ml of stock solution of Daunorubicin and Cytarabine 1 ml of 2N sodium hydroxide was added and refluxed for 30 min at 60 ºC. The resultant solution was neutralized with 1 ml 2N HCl and makeup to final volume to obtain (29 µg/mL and 65 µg/mL) solution. Cool the solution to room temperature and filtered with 0.22 µm membrane filter. The sample of 10 µl was injected into the system, and the chromatograms were recorded to an assessment of sample stability. Oxidation Degradation Studies: To 1 ml of stock solution of Daunorubicin and Cytarabine 1 ml of 20% hydrogen peroxide (H2O2) was added separately. The solution was kept for 30 min at 60ºC. For HPLC study, the resultant solution was diluted to obtain (29 µg/mL and 65 µg/mL) solution. Cool the solution to room temperature and filtered with 0.22 µm membrane filter. A sample of 10 µl solution was injected into the system, and the chromatograms were recorded to assess the stability of the sample. Dry Heat Degradation Studies: The 1 ml of standard drug solution was placed in the oven at 105 ºC for 6 h to study dry heat degradation. For HPLC study, the resultant solution was makeup to final volume to obtain (29 µg/mL and 65 µg/mL) solution. Cool the solution to room temperature and filtered through a 0.22 µm membrane filter. A sample of 10 µl solution was injected into the system, and the chromatograms were recorded for the assessment of sample stability. Photo Degradation Studies: The photostability of the drug was studied by exposing the stock solution to UV light for 7 days or 200 Watt-hours/m2 in photostability chamber. For HPLC study, the resultant solution was diluted to obtain (29 µg/mL and 65 µg/mL) solution and filtered with 0.22 µm membrane filter. A sample of 10 µl solution was injected into the system, and the chromatograms were recorded for the assessment of sample stability. Water Degradation Studies: To 1 ml of stock solution of Daunorubicin and Cytarabine, 1 ml of distilled water was added. The solution was kept aside for 30 min at 60 ºC. For HPLC study, the resultant solution was diluted to obtain (29 µg/mL and 65 µg/mL) cool the solution to room temperature and filtered with 0.22 µm membrane filter. A sample of 10 µl was injected into the HPLC system, and the chromatograms were recorded for the assessment of sample stability. RESULTS AND DISCUSSION: Method validation was performed according to ICH Q2 guidelines. In the blank chromatogram, there were no peaks observed at the retention times of Daunorubicine and Cytarabine. System Suitability: System suitability was performed to evaluate the parameters like tailing factor, theoretical plates, resolution and % RSD for replicate injections. The results were within limits and were given in Table 1 and shown in Fig. 3. Specificity: Retention times of Daunorubicin and Cytarabine were 2.452 min and 4.531 min for standard and 2.445 min and 4.518 min for sample respectively. Which were shown in Fig. 4, 5, 6. We did not found and interfering peaks in blank at retention times of these drugs in this method. So this method was said to be specific. Linearity: The linearity of the measurement was evaluated by analyzing different concentrations (25% to 150%) of the standard solutions of Daunorubicin and Cytarabine. The calibration curve was constructed by plotting concentration against mean peak area, and the regression equation was computed. The coefficient of correlation (R2) for Daunorubicin and Cytarabine were 0.999. The summary of the parameters is given in Table 2 and shown in Fig. 7, 8. Accuracy: To determine the accuracy of the proposed method, recovery studies were conducted at three different levels, 50, 100 and 150% and were calculated. Accuracy was calculated as the percentage of recovery, and the results were shown in Table 3. Precision: Precision was carried out in terms of system precision, repeatability, and intermediate accuracy. These are assessed by using six replicates at a concentration of 29 µg/mL of Daunorubicin and 65 µg/mL of Cytarabine. The data was given in Table 4, 5, 6. The % RSD was found to be <2, indicating the repeatability of the method. LOD and LOQ: Estimation of the limit of detection (LOD) and limit of quantification (LOQ) considered the acceptable signal-to-noise ratios 3: 1 and 10: 1, respectively. LOD of Daunorubicin and Cytarabine determined were 0.29 µg/mL, 1.15 µg/mL respectively. LOQ of Daunorubicin and Cytarabine determined were 0.88 µg/mL, 3.47 µg/mL respectively. Which were given in Table 7 and shown in Fig. 9 and 10. Robustness: The robustness of the method was evaluated by the method conditions such as, flow rate (± 0.1) and the column temperature (±5 ºC), solvent composition (± 5%) were altered, and the influence of these changes on the assay, peak tailing, number of theoretical plates and peak area were evaluated. The % RSD of peak areas was found to be well within the limit of 2.0%, and results were shown in Table 8. Degradation Studies: Since no interference of blank and degradants, the HPLC results showed that the three active ingredients Daunorubicin and Cytarabine purity angle was less than the purity threshold and hence the proposed method was the specific and revealed its stability-indicating power. The results were summarized in Table 10. The drug Daunorubicin and Cytarabine were found to be more degraded when exposed to peroxide and acidic conditions and least degraded when exposed to necessary, thermal and photolysis degradation. CONCLUSION: A simple, specific and reliable reverse phase HPLC method was developed for the estimation of Daunorubicin and Cytarabine in their pharmaceutical dosage form. The method was validated over a concentration range 7.25 µg/mL and 43.5 µg/mL for Daunorubicin and 16.2 µg/mL and 97.5 µg/mL for Cytarabine. The two compounds were subjected to forced degradation applying several stress conditions. The proposed method successfully separated the two compounds with degradants. The proposed method was specific and stability-indicating. Hence the developed method can be adapted to regular quality control analysis. 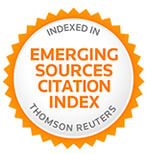 ACKNOWLEDGEMENT: The authors thankful to Spectrum Pharma Pvt. Ltd., Hyderabad, India for providing gift samples and also to the Department of Pharmaceutical Analysis, Acharya Nagarjuna University, Guntur, India for their encouragement. Tripathi KD: Essentials of Medical Pharmacology. Jaypee Brothers Medical Publishers (P) Ltd, Edition 7th, 2013. Suman P, Sivarao T and Reddy VSK: Development and validation of a stability-indicating RP-HPLC method for estimation of Daunorubicin - a chemotherapic drug in bulk and pharmaceutical formulations. World Journal of Pharmaceutical Research 2017; 1158-1174. Murthy V, Rohini A, Pravallika KE, Prameela R A and Rahaman SA: Development and validation of RP-HPLC method for estimation of Cytarabine in bulk and pharmaceutical dosage forms. 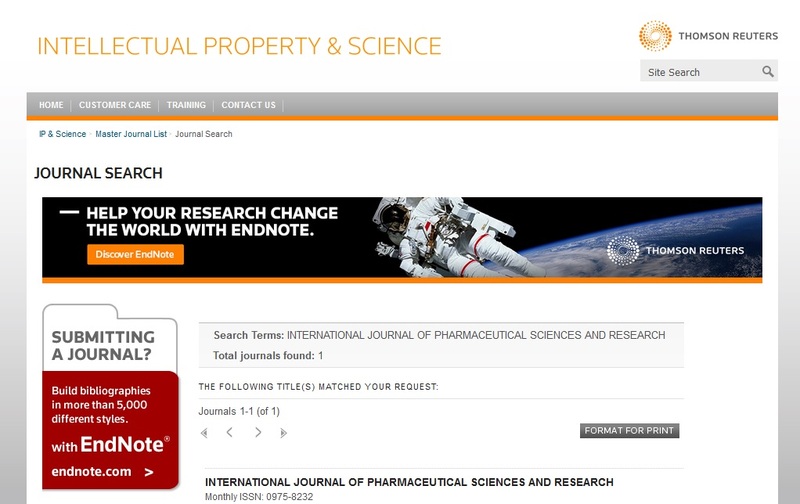 International Journal of Pharmaceutical Sciences and Research 2013; 4573-4576. Bhatnagar A, Loura S and Chaudhary M: A stability indicating RP-HPLC method for determination of anticancer agents Cytarabine in the lyophilized dosage form. Eurasian Journal of Analytical Chemistry 2012; 160-167. Murthy V, Rohini A, Pravallika KE, Prameela RA and Rahaman SA: Development and validation of a novel UV-Visible spectrophotometric method for Cytarabine in bulk and pharmaceutical dosage forms. Scholars Research Library 2013; 51-55. Kushagra R: Method development and validation of RP- HPLC method for simultaneous estimation of Daunorubicin and Cytarabine in the synthetic World Journal of Pharmacy and Pharmaceutical Sciences 2018; 1301-1310. ICH harmonized tripartite guideline, validation of analytical procedures: text and methodology Q2 (R1); 27 October 1994; 1-13. Sujana K: Validation and calibration of analytical instruments. Journal of Biomedical Sciences and Research 2010; 2: 89-99. ICH harmonized tripartite guideline, stability testing of new drug substances and products, Q1A (R2). 2003; 1-18. Sujana K and Satyanarayana V: Validated stability indicating RP-HPLC method for simultaneous estimation of Daunorubicin and Cytarabine in bulk and its pharmaceutical dosage form. Int J Pharm Sci & Res 2019; 10(4): 1895-01. doi: 10.13040/IJPSR.0975-8232. 10(4).1895-01. Authors Address: Department of Pharmaceutical Analysis, University College of Pharmaceutical Sciences, Acharya Nagarjuna University, Nagarjuna Nagar, Guntur, Andhra Pradesh, India.